What is more positive and inspiring than color? Color is back in a big way this year, re-entering spaces like kitchens and bathrooms that have been neutral for nearly two decades. Color will move from the walls onto appliances, cabinetry, and furniture pieces. They will be bold and bright and create spaces that are warmer and more personal. We’ll also see more textures in our architectural features. On walls we’ll see millwork like shiplap and etched designs. On surfaces like counter and tabletops we’ll see new textures like concrete. Even on sinks we’ll see new textures like stone, granite, and metals. On the floor, we’ll see a return of textural terrazzo tiles. Adding new textures will add dimension to our spaces and create more depth. Mixed in with the new modernism are some vintage favorites. Vintage light fixtures will highlight spaces around the home. They will showcase their age and connect our spaces with the past. Functional trough and bucket sinks will return to bathrooms. We’ll also see the return of brass and copper. Interior design will also embrace a return of intricate patterns. 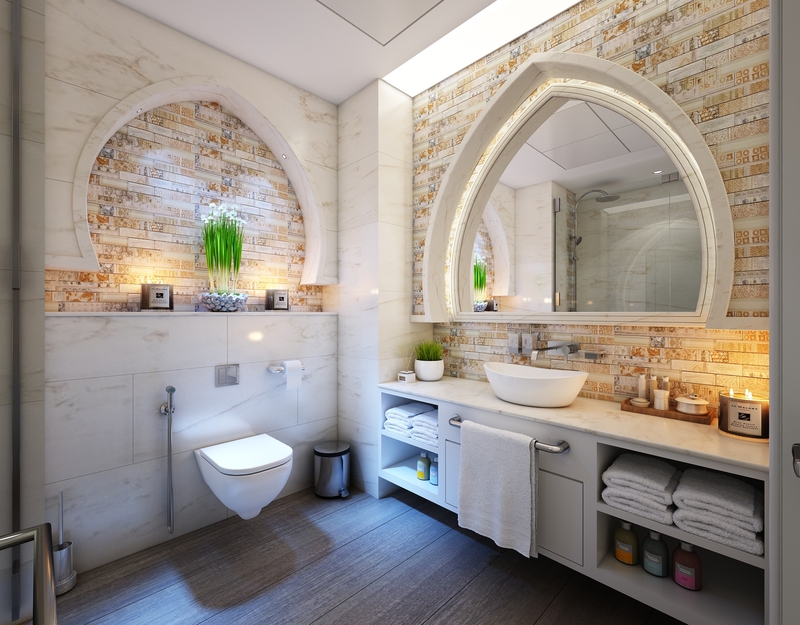 The most common way we will see this is in intricate backsplashes in our wall tiles. Smaller tiles have been on trend for awhile, but these new designs will offer shapes and patterned we haven’t seen in awhile. Floral will also be huge this year. They’ll offer bolder contrast and modern shapes and mix brilliantly with other patterns. In 2018, we’ll also begin to pay attention to the area that are often forgotten. Ceilings this year will no longer be left alone as a default, but will have colors, patterns, and new textures. Adding design features to our ceilings will create a more complete design picture. Bringing the design elements to the ceiling, is a perfect example of how design in 2018 will incorporate bold ideas. Interior design in 2018 will be defined by a new attitude as artists and designers are more purposeful and deliberate in their choices. Homes will be more personal, have more variety, and feel like a more complete design. Whether you are looking to add some modern design upgrade your home this year before you sell or simply want to liven up your space, embrace this new mindset of risk-taking and go for it! Add color, texture, and pattern to every space. Bridge the past and today with vintage elements and don’t be afraid to make your space reflect your own personal taste.